How can Strategic Human Resources Consulting Benefit Your Business? No matter the size of your business, you need a human resources department to act as a liaison between employees and administration. The role may sound simple, but several components make up an HR department. Human resource professionals perform a variety of tasks involving employee retention and termination processes, managing benefits, and training new hires. If your business does not have an HR department in place or your current HR functions are not proving to be beneficial, you may want to consider hiring a human resources consultant. It's up to the HR consultant to implement business-savvy techniques to help develop, redesign, and communicate an important human resource infrastructure. What can a human resources consultant do for you? Here are a few ways they can help your business thrive. An HR consultant has the expertise to strategically integrate important HR processes into your business. HR consultants can set up health and benefits plans for employees, create employee incentives and rewards programs, and assess their overall performance. The goal of a human resources consultant is to optimize the client's performance with all functions related to human resources. HR consultants will analyze your employee structure to implement HR solutions that will work for them. Do you have a lot of young people working for you? 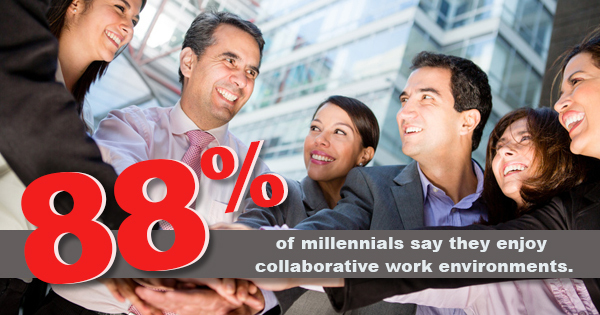 Nearly all (88%) of millennials say they enjoy collaborative work environments. HR consultants do more than simply pleasing a company's employees; their primary responsibility is to advise companies on the best practices for their specific business. The job market is incredibly competitive for both employers and potential new hires. For highly specialized roles, the talent pool can be shallow at best. If your company is struggling to find the perfect fit, consider hiring an HR consultant for their talent acquisition management service. A full 57% of organizations say employee retention is a problem, and your hiring practices may be to blame. An HR consultant can help your company completely overhaul your talent acquisition strategies to find the perfect fit. With a redesigned on-boarding process, you're more likely to retain employees for years to come. Over half (58%) of new hires who experienced a structured onboarding program are likely to still be with the company after three years. Take a good look at your hiring process to determine if you're truly bringing in the best talent you can recruit. Even if your business isn't experiencing growth, a human resource consultant can help you downsize while still maintaining good employee relations. Outplacement consultants can assist each employee with career transition services to help them find work elsewhere while your business makes necessary cuts. Depending on your business's needs, an HR consultant will work tirelessly to ensure your company thrives and will provide the best in human capital management services.